Soles Court Farm is located near the hamlet of Frogham on the southern edge of the parish of Nonington. It is one of the oldest settlement sites in Nonington and was recorded as a separate manor in the Domesday Book of 1086. 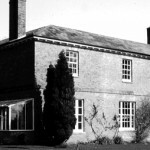 The old Soles farmhouse, pictured above, probably dated from the late 17th century, but was abandoned in the late 1950′s and fell into a state of disrepair and was demolished in the 1980′s, now just a few outbuildings remain. Upper and Lower Soles Woods, respectively to the west and east of the house site, have extensive banks and ditches which possibly date from pre-Norman times and were probably dug to help protect the woodland from foraging animals. Soles Court farm house and out buildings. The house probably dated from the late 1600’s and was demolished in the 1980’s. Lower Soles Wood is at the rear of the house. Soles, originally Solys, derives from the O.E. sol: meaning mud or mire, which in Kentish dialect could mean a pond or pool of muddy water or a muddy, boggy area. Sole is a very common Kentish place name, just across the field from Soles is Broadsole at Frogham. The Domesday Survey recorded: “Ansfrid holds Soles from the bishop (Odo, Bishop of Dover and Bayeaux and Earl of Kent, half brother of William I with whom he later fell out with and who stripped Odo of his lands and titles). It answers for one sulung. Land for… In lordship 2 ploughs; 8 villagers with ½ plough. Value before 1066, 100 shillings; later 20 shillings; now £ 6. Aelmer held it from King Edward”. Soles manor was the site of a very early mill which is mentioned in a fine of 1227 which finalizes a protracted legal dispute between William de Soles and Cecily de Dovre, the daughter of Agnes by John Le Archer, over ownership of the single knight’s fee of Soles. The fine refers to a capital messuage [the then manor house and outbuildings which would have been on or near the site of the later manor house pictured above] and the half site of a mill previously held by William’s uncle, also William de Soles. The windmill was presumably to the north-east of the manor house on the same site as the later Barfreston mills. 1254: a roll of holders of knight’s fees recorded that in the “Hundred of Eastry. Hamo de Soles tenet dimid feod in Soles de Ricardo Rokesle – nota bene Johanes de Soles tenet dimid in eodem de eodem”, which translates as: “Hamo de Soles holds half of Soles from Richard Rokesle (Richard de Rokestle), Johanes de Soles holds half in the same place on the same terms”. 1274-75: King Edward I ordered the making of the Kent Hundred rolls of 1274-75 on returning from crusade in 1274. They recorded the rights and dues owed to him, the Hundred of Eastry entry for Soles reads: “Then they say that John de Soles holds one fee in Soles of John de Rokeste and the same John of Robert de Crevequer and the same Robert of the king in chief and he owes 20s. each year at Dover Castle”. 1283: The Manor of Wingham had a small holding of 22 acres or so at Soles which was recorded in Archbishop Pecham’s 1283-85 survey. 1375: On 28th December, 1375, King Edward III granted to Geofrey Chaucer, King’s Esquire, and author of “The Canterbury Tales”, the guardianship and the right of marriage of William de Solys, a minor then aged one year and heir of the late John de Solys, lord of the manor of Soles and Betteshanger. Awarding a guardianship was commonly done for royal favourites and members of the royal household: ‘the guardian became responsible for maintaining the heir in a manner appropriate to his estate and for keeping the property from deterioration’. The land at Soles was worth five “solidates”, a solidate was as much land as was worth one shilling (five pence) a year. 1528: 19th Henry VIII. Thomas Norton sold to John Boyes, ¼ of the manor of Soles, with 200 acres of land, 200 acres of pasture and 60 acres of woodland in Nonington & Barfreston for £40. 1637: Manor, messuage, farm and lands called Soles, about 140 acres. Land occupied by Nich. Creake, the Creake family also held land at Kittington. 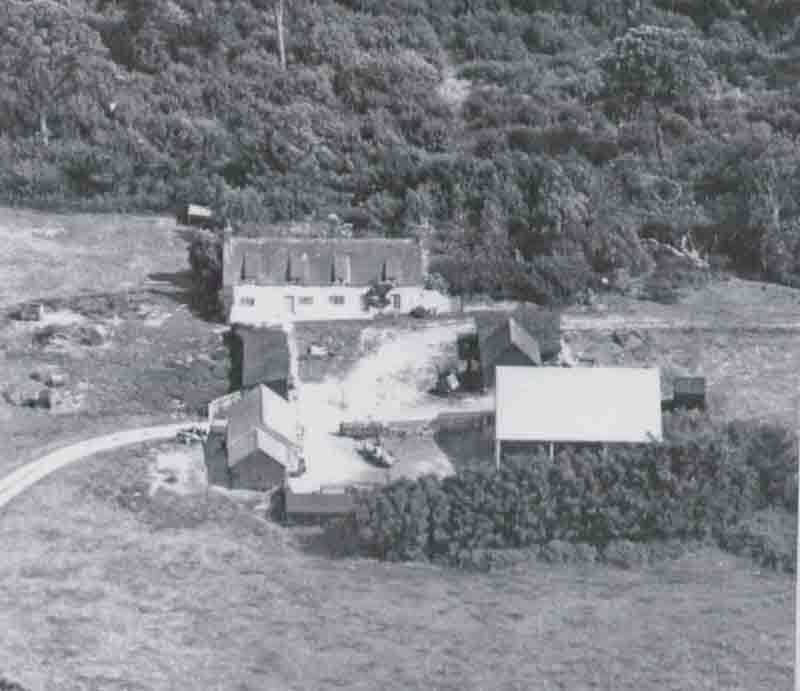 1664: First mention of Soles barn as separate entity, approx 6 score (120) acres. 1660’s: Sold by John Boys to Sir Anthony Percival of Dover. Manor of Soles, barnes, messuages, lands, tenements, meadows, pastures, woods, grounds and hereditaments. 1700: Soles manor and Soles barne, approx. Six score acres, arable, pasture, woods and downs. 1704: Occupied by Laurence Austen (also at the White Horse, Church St., Nonington. ), late Wm. Sharpe. Soles Field abutting to the S.W. 12 acres occupied by Thos. Osbourne. 1760: One messuage, two barns, two stables, one orchard, one hundred and fifty acres of land, ten acres of meadow, ten acres of pasture and thirty acres of wood. Soles Court Farm is still part of the Fredville estates.